Thrilled to find white-letter hairstreak butterfly here in Rosedale. It is on the wing in July but not widely recorded here in the National Park. It is a small butterfly and always rests with its wings closed showing the white hairline across its underside. It has a white W towards the bottom tip of the hindwings which is not easily seen and orange marks along the bottom edge near the wing-tail. 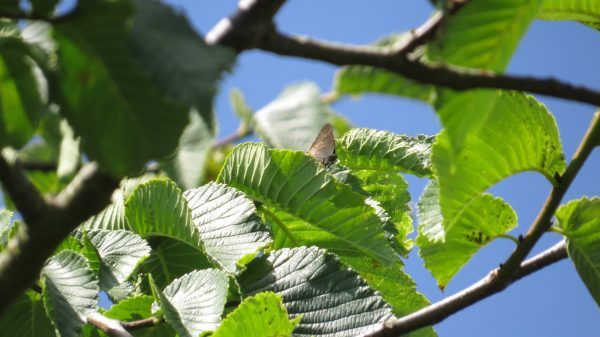 They spend their time in the tops of trees and can be found on elm but more commonly now on wych elm. They feed on aphid honeydew found on the leaves.